in terms of the desirability of the LeJour branded Orfina's vs PD? I appreciate you may not be asking me, but a few observations, limited only to this LeJour line, a sort of "poor man's PD"
The LeJour line was not made by Orfina, if by anyone it was by Heuer, alongside the Pasadena. However, even that isn't certain, LeJour must have made some of their own watches, and offered this line with a variety of movements. 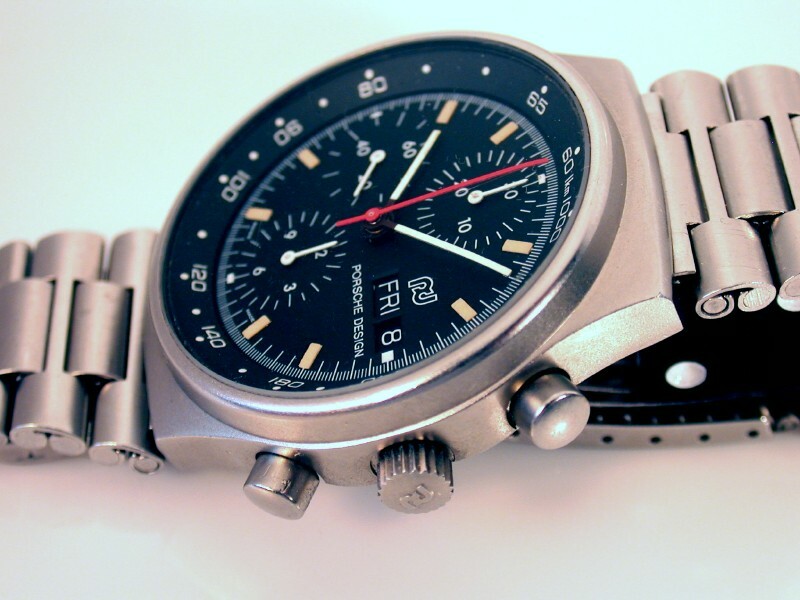 However, the Lejour was never made with the Lemania movement, but the V7750, the same as the original PD chrono, designed by Ferdinand and released in 1974. Orfina moved over to the Lemania (and won the Bund Contract with it) in 1979. See the rounded top to the crystal surround? Different case. The LeJours all used the former case design. I have to say I have never handled a Lejour "PD-alike", but the finish doesn't look the best, and the black case treatment seems more paint like than the impregnated finish on the latter Orfina's. Have a look at this one of my old PD, with worn "PVD", which is actually an iumpregnation into the metal, a chrome oxide surface infusion, really. No "eggshell" texture here. The LeJours suffer from using the 7750, Lemania PDs are always higher valued than the 7750 ones. The hands don't look as good. So overall, less desirable, although the difference seems to have narrowed a lot in the last few years. Does this help? Or have I just been my usual confusing self? Yes and No. In that order.